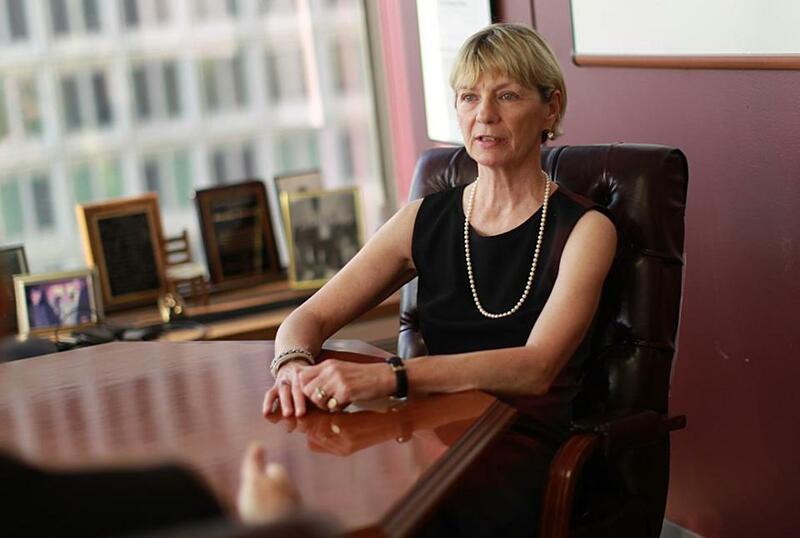 Marylou Sudders, state secretary of health and human services, said a survey of Medicaid patients will be an effort to directly engage with them. Privately insured patients have been asked to rate their medical providers for years. Now, for the first time, Massachusetts is seeking the opinions of thousands of Medicaid recipients about their experiences in the doctor’s office. Beginning this month, nearly 250,000 low-income and disabled patients will be asked questions such as whether they or their children were able to get appointments when they needed them, whether doctors and office staff communicated respectfully, and whether their mental health treatment actually improved their ability to work or attend school. The results will give state officials a window into how well Medicaid providers care for patients amid a significant restructuring of the program. And the information will allow the state to direct higher payments to better performers. Eventually, officials plan to publicly release some results, allowing Medicaid recipients to compare the quality of provider networks. The disclosure will help close the information gap between middle-income residents with private, employer-based insurance and low-income patients on Medicaid, known in Massachusetts as MassHealth. “This is a big step in engaging directly with consumers,’’ said Health and Human Services Secretary Marylou Sudders. The state plans to make results of the 2019 “patient experience’’ survey public in early 2020, Sharon Torgerson, agency spokeswoman, said in an e-mail. But the public information will not be as detailed as it is for privately insured residents, and some say the state should go further to address this disparity. The nationwide movement to make the cost and quality of health care more transparent has largely bypassed state Medicaid programs. Little is known about how well Medicaid providers do their jobs, despite the immensity of these programs. Some states ask Medicaid recipients about the quality of their care, but it’s rare to make that information public, said Dr. Michael Hochman, a professor at the University of Southern California who recently wrote about the topic for the journal Health Affairs. California, for example, reports quality measures for large health plans, but that is not useful for consumers looking for guidance on choosing a doctor. Also, because Medicaid programs generally pay providers less than private insurers, doctors who treat large numbers of Medicaid patients traditionally could not afford the necessary computer technology to track patients’ care. But Hochman said that is no longer the case. Instead, he believes that Medicaid providers who provide poor care and have long waits for appointments simply don’t want that exposed. “There are a lot of people who make a lot of money on the safety net,’’ Hochman said. Taxpayers have a stake in ensuring quality, too. MassHealth is the single largest chunk of the state budget, with costs of about $16 billion a year, although the federal government pays about half. MassHealth signed a $4.4 million three-year contract with the group, which will survey MassHealth members enrolled in one of 17 newly formed “accountable care organizations’’ — networks of doctors and hospitals that work to tightly manage patients’ care. The focus will be on primary care, behavioral health care, and long-term services and support, such as speech and occupational therapy. MHQP has been releasing primary care provider ratings for privately insured patients on its website since 2005. Providers who treat both commercially insured and Medicaid patients may already be publicly rated by their commercial patients. State officials restructured the MassHealth program last year, enrolling 850,000 of the 1.86 million recipients to tightly controlled networks in an attempt to control costs and improve care. One question is whether providers treat privately insured patients and Medicaid patients differently during appointments. That will be hard to answer using the new survey. MHQP publishes data about primary care practices with three or more providers who have patients in one of four large health plans. It does not release ratings for individual doctors. MassHeath will make public quality data about each of the 17 accountable care organizations. Each one includes many primary care practices. The more detailed the survey, the more expensive it is — and potentially the more useful to patients. The state’s primary goal is “to hold [these organizations] financially accountable for member experience,’’ Torgerson said. The member satisfaction survey was not necessarily intended to help recipients choose providers, state officials said. But they said they will evaluate releasing more detailed data in future years. Colin Killick, deputy director of the Disability Policy Consortium, said collecting data on accountable care organizations is “absolutely useful’’ but doesn’t go far enough. Medicaid insures disabled people as well as low-income residents.